Located in Colorful Colorado’s breathtaking southwest, Vallecito Lake is a treasure of rugged mountains, rich forests, and cool water. Pine River Lodge offers a memorable vacation, providing comfortable access to the long list of enriching activities and unbeatable views of the sky, lake, and mountains. Share in our year-round mountain paradise, call to reserve today. With over 30 cabins to choose from, Pine River Lodge offers lodging that ranges from cozy one-bedroom to spacious three-bedroom mountain cabins that work great for families and large groups. Each comes fully furnished with an equipped kitchen, basic satellite TV, VCR, air conditioning, as well as fresh linens and bedding. Many also offer stellar views of the lake, the privacy of towering pines, and fireplaces for cozy nights. Vallecito has a bounty of activities, year round. Each season brings with it new opportunities for exploration and adventure. 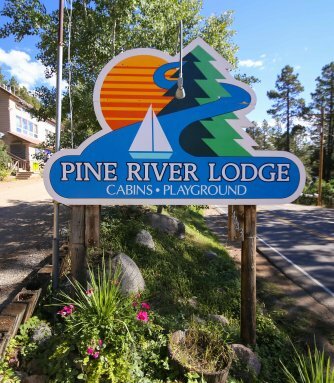 At Pine River Lodge, soak and swim at our indoor heated pool, play outside with a traditional playground for the kids as well as volleyball, picnic tables, and a central campfire area. Each cabin also has its own outdoor furniture, fire pit, and charcoal grill, so you can enjoy the fresh air right from your doorstep. If you’re looking to explore away from home-base, experience horseback riding, hiking, mountain biking, four wheeling, fishing and boating (of course), and hunting in the Vallecito area. Plus, there are plentiful area attractions to explore, like Mesa Verde, the Durango & Silverton Narrow Gauge Train, and so much more.